The complimentary Junior Season Passes have arrived. 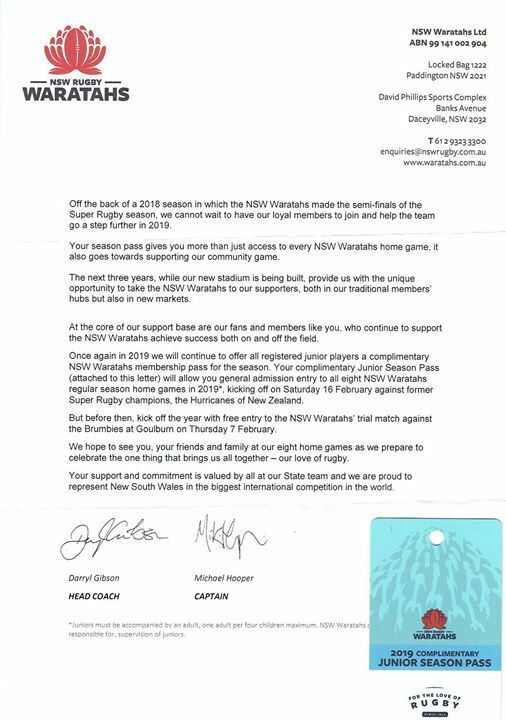 The pass allows free entry to every 2019 Waratah’s home match for all boys and girls aged 4-16 years old. Meat raffles, New York Pizza, Rugby … come on up to Porters now and join the fun !